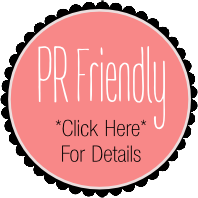 This is a PR friendly blog… product review offers are welcome. Sponsored reviews will be marked with a * in the title bar on publishing. Awwh thank you so much Dora – I’ve been meaning to do this as a few other nominated me too!!! Think I might give it a go on Twitter or Instagram and tag you lovely lot as my blog schedule makes it so hard to get a run at it… looking forward to it and thank you sooooo much for thinking of me!! Thank you so much, you too!! Hello Karen! I watched your video on the hair straightening brush…what is the product name of the one you used in your video?? This looks amazing!! We have come across your blog https://confettiandcurves.com and strongly admire the content. Your writing abilities and ability to engage readers is remarkable and a very rare asset in this days and age oversaturated blogging community. We would love to have your content on beauty displayed on our website MyTrendingStories.com in order to display your creative work to a large platform. My Trending Stories is a new website who prides itself on one specific value: giving back the power to the writers through freedom of speech and expression. Several blogging websites support a specific political view, ideology or mindset. Over at My Trending Stories no content is restricted as long as it does not contribute to racism, discrimination or anything that violates an individual’s human rights. Through this, we aim to be one of the top 5 biggest blogging websites on the internet. We strongly believe that your writing aligns with our core value, and would love to have your content displayed so that it can reach an even broader audience. As a contributor on MTS, your creative work will remain yours at all times and we even encourage that you promote your personal blog on the website. Feel free to even post work that was originally on your blog, the most important thing is that your message and story gets out to the world. Furthermore, we place importance in seeing our writers grow. This is why we only allow a certain amount of writers on the website in order to provide mentorship and personal growth. We keep in contact with our writers through phone or email, whichever is more convenient. We will also be having our first annual convention in 2017 where writers will have the ability to network and learn tips from people in the industry. This includes media, journalism, editors, authors and publishers! We also have several interesting features such as a video section, and will soon be expanding French and Spanish.